FREE PLAY WEDNESDAY @ North End Pub! Just a reminder that if you are looking for a place to get in some FREE PINBALL tonight, North End Pub is the best and only place to go! Don’t forget to snap a picture of your score when you play Congo or Fish Tales so you can get it submitted for the Monthly Selfie Tournament! 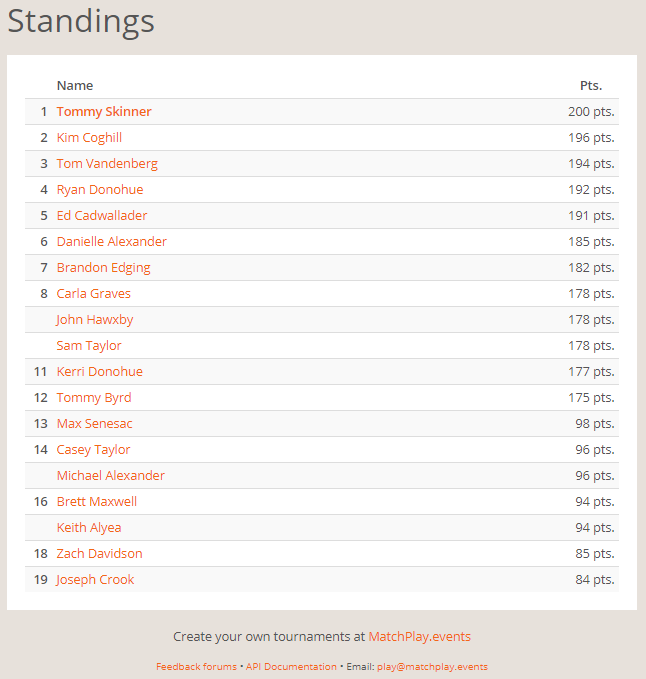 The most recent standings are below, the top 8 players get invited to play in finals on Sunday, December 2nd, and the top 4 players from there win CASH MONEY! If you have any trouble submitting a score you can always just text me, email me, or facebook me the picture and I can get it submitted for you. Carla, Sam, and John better do something about that 3-way tie for 8th place right now!